I love these little noodle bars with tables virtually on the street. You see them mostly everywhere, but especially in Tai Hang. 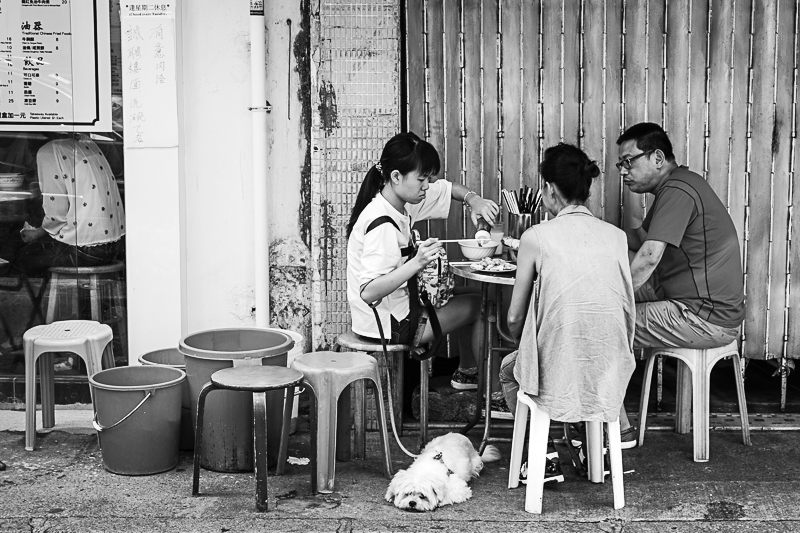 Unlike in other parts of China, the dog is under the table, not in the bowl.